The Art team here at Te Papa are saddened by the news that contemporary New Zealand artist Don Driver passed away yesterday morning in New Plymouth. Although Don had been ill for some time, this sort of news always catches you off guard. 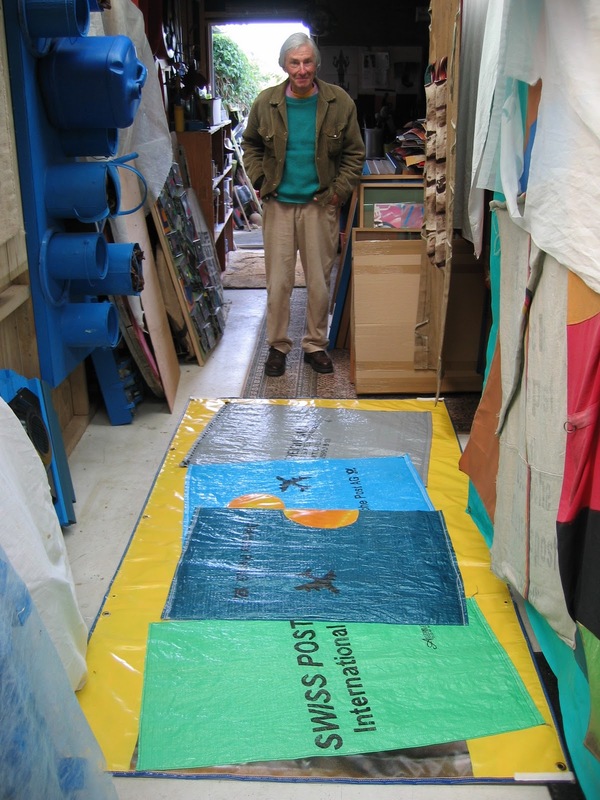 Artist Don Driver in his studio, New Plymouth, March 2004. Photo: Jim and Mary Barr, reproduced with permission. As Curator of Contemporary Art at Te Papa since November 2010, I have had the opportunity to spend a lot of time looking and thinking about Don Driver’s work. As I have been getting more familiar with his works in Te Papa’s collection, I have been – in turns – stunned, delighted and perplexed by Don’s singular vision and his approach towards art making. I had been intending to make a trip to New Plymouth to visit Don and his wife Joyce a couple of months ago. For various reasons, the trip was postponed and I am sad to have lost the opportunity to personally meet this incredible artist. There will be an opportunity to see Ritual early next year when Te Papa lends the work for the exhibition The Obstinate Object: Contemporary New Zealand Sculpture at City Gallery Wellington. Our thoughts are with Don’s wife Joyce, their family, and friends. I am sorry to hear this. I had the opportunity to meet him once and he came across as an intelligent and quiet-spoken man who was happy to talk about his work to a complete novice, with no condescension.